Showed home in 2014 in Half Day, Indian Creek, IL 60061. "Selling a home can be a stressful endeavor. Add additional stress by trying to sell a home during the slowest season of the year (Halloween into Winter). We hired Sadie and Dana because we knew they could get the job done, had extensive knowledge of the area, and were very well respected by other realtors. They did not disappoint us one bit. Sadie provided us with great advice on how to stage our home and as a result garnered lots of showings. When we landed a buyer, despite the difficulties the buyer presented (and there were TONS), Sadie remained cool and helped keep us calm as well. I believe this deal could have fallen through if not for Sadie's efforts and professional experience. We had already moved out prior to the sale being completed and Sadie willingly took over and stepped in to help out as we could not be local to deal with details. Choosing Sadie and Dana is a wise decision for anyone selling a home in Buffalo Grove. Sold a Townhouse home in 2015 in Buffalo Grove, IL. 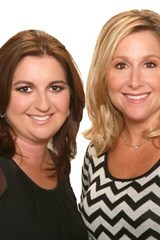 "Dana Cohen and Sadie Winter helped us purchase a home. We were very pleased with their response and negotiation on purchase of our home. They are very professional and helpful. We recommend them to everyone. Thank you." Sold a Single Family home in 2014 for approximately $875K in Long Grove, IL. "Dana Cohen and Sadie Winter are beyond wonderful. I have dealt with many real estate agents and they are without question the most caring and responsive agents you will ever meet. What makes them so special is that they regard every request every question with flawless enthusiasm." Bought a Single Family home in 2015 for approximately $450K in Skokie, IL. "If you want the best, here they are! They truly go above and beyond expectations! We were honestly sad after closing on our place because we knew it was the end of our work with Dana. She's got true talent, dedication, and is a super impressive shmoozer!" Bought a Single Family home in 2014 in Buffalo Grove, IL. "Dana and Sadie helped us find a home in Buffalo Grove area. They had lot of patience listening our requirements and showed us to right home/ price. Once we liked the house, they did all ground work to make sure we are top of buyers list and have good chance the seller accepts our offer. We highly recommend Dana and Sadie for buying or selling houses. We have recommended them to couple of my friends and it worked out well for them. Thanks for the opportunity to get to know them at right time, at right place"
Bought a Single Family home in 2015 for approximately $575K in Buffalo Grove, IL. "Dana Cohen is a wonderful realtor for us, she worked with us throughout our home search process and was patient with us until we found our wonderful home! Dana knows the local area and people around the community so well and provides great insights on pros and cons about each property. She understood our must-haves and wish lists right on the first appointment and kept that in mind throughout. Also she was very responsive any time of the day we called her about something. During our closing, she ensured that the house was cleaned, all inspection items were checked and did a walkthrough even on the morning of the closing. She also came to the closing and made it a very pleasant experience. Thank you Dana on supporting us through the stressful house hunting process, we couldn't be any more pleased with the results!!" Sold a Single Family home in 2014 for approximately $475K in Buffalo Grove, IL. "The most amazing relators, so honest and knowledge. They are beyond pleasant to work with, very comforting, make the buying and selling process stress-free. Always answers to any questions no matter what time of the day. Don't just price to sell, they evaluate market value and determine what the best options are for all sides. Very nice team that gets the job done. Highly recommend"
Bought a Condo home in 2004 for approximately $175K in Buffalo Grove, IL. "I was very nervous about my first home purchase. Dana and Sadie were with me every step of the way, They were easy to get a hold of, I never felt like I was on the back-burner. I intend on hiring them again when I need to buy and sell a home." Bought a Single Family home in 2010 for approximately $425K in Buffalo Grove, IL. "Dana and Sadie were a pleasure to work with. They went above and beyond what you would expect. They were always available to show us properties that were for sale and they helped us find a perfect house for us. They helped guide us through the whole negotiation process and we ultimately got the house on our terms."